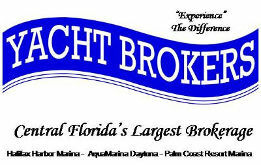 Welcome to Yacht Brokers, Inc.
WE WANT TO SELL YOUR BOAT! 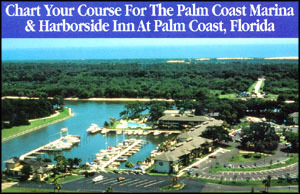 Located at mile marker 831 on the Intracoastal Waterway, this facility has been a traditional yachtsman's haven since 1903. 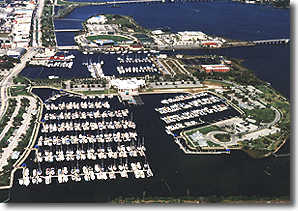 We offer a high traffic marina along with a full service repair facility to handle all aspects of the buying and selling procedures. Joe Egeberg represents a lifetime of experience in the boating business and is ready to serve you. 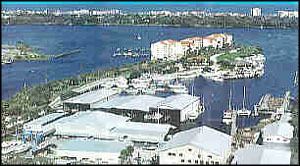 Inquire about "free dockage" for qualified listings. Now, have a look at our boats for sale then give us a call. Good sportfish, great price. Recent upgrades including interior carpet make this boat ready to fish.